Atria/Emily Bestler Books, 9781476799711, 512pp. "Exciting . . . . intriguing . . . . epic." "Marion has ambitiously expanded on his original idea, offering a dramatic amount of mythology and worldbuilding." 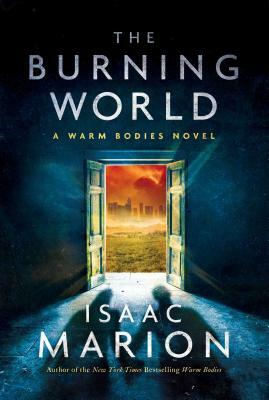 "Isaac Marion’s The Burning World is more than worth the years-long wait. It’s equal parts heartwarming, thrilling, and mysterious. Fans of Warm Bodies (the book or the movie) won’t be able to put down this installment. Beautifully written and expertly crafted, The Burning World is Isaac Marion’s best work yet." "Fair warning: You're going to want to binge-read this one." "Isaac Marion's writing is as dazzling as the first time, if not more." "The Burning World is both a tale of action and harrowing adventure, and a richly imagined philosophical exploration."